These were my 10 favourite reads of the year. Some of them were published in 2014, some not. One of my favourite reads of 2014. 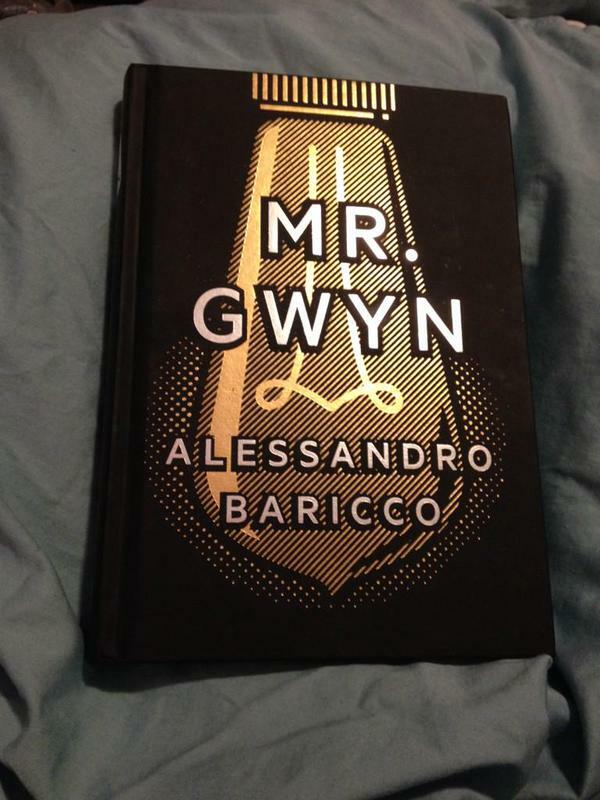 Mr. Gwyn by Alessandro Baricco: A quiet but incredibly powerful book (a pair of linked novellas). The prose is lovely and deceptively simple. It is like looking into a pool of crystal clear water. You can see the bottom, but once you dive in you realize it is much deeper than it appears to be. It is the story of a writer vows to never write another book, and instead becomes a copyist, producing intimate “portraits” of people in writing. The Remains of the Day by Kazuo Ishiguro: A book I regret not reading sooner, but that I doubt I would have appreciated had I read it sooner. A near perfect book read at the perfect time. No One Writes Back by Jang Eun-Jin: One of the Library of Korean Literature titles from Dalkey Archive Press that (full disclosure) I edited while working in Dublin as an unpaid intern there. This was my favourite of the series of 10 Korean novels that I edited. It is an unusual and moving story about the need for communication and connection and the ways we cope with tragedy and grief. The Tenants of Moonbloom by Edward Lewis Wallant: I loved this book about an indifferent rent collector who is unable to remain indifferent to the suffering of his tenants and embarks upon a comical and desperate scheme to improve their lives. Thunderstruck by Elizabeth McCracken: Hands down, my favourite short story collection of the year. Each story revolves around grief, loss, and ways in which the ripples from those emotions affect others. Annihilation by Jeff Vandermeer: My description of this book to friends is mostly expletives followed by, “Just buy it.” Authority is also awesome and I’m sure the entire Southern Reach Trilogy would be on this list, but the flu kept me from getting to Acceptance, so I’ll just put the first book on here and let you discover the rest on your own. The Ocean at the End of the Lane by Neil Gaiman: Intense, terrifying, moving, imaginative. Basically, it is Gaiman. Just read it. Faces in the Crowd by Valeria Luiselli: Polyphonic and fragmentary. Narrative worlds weave in and out of one another in surreal ways. A woman in Mexico City writing about her past in New York and about an obscure poet from the 1920s, Gilberto Owen, who comes to life through her reflections. Masterful. Excellent translation. Sweetland by Michael Crummey: A story about landscape, identity, community, and the tragedies and truths that shape our lives set on an island off the Newfoundland coast. Also about the things we can’t leave behind. Funny, haunting. Granma Nineteen and the Soviet’s Secret by Ondjaki: The story of a small Angolan beach community threatened with destruction by the Soviets for the sake of the construction of a monument to a dead dictator. Contains a memorable cast of characters: the children with a cunning plan, a mad Cuban called Sea Foam, a ghost, a lovesick Russian, and a gangrenous granny, among others. Excellent translation by Stephen Henighan. I read too many really good books this year to limit myself to a top 10, so here’s the next 10 good reads on my list. The Broken Hours by Jacqueline Baker: Atmospheric, creepy, and elegantly told tale of Arthor Crandle, a fellow down on his luck who takes a position as an assistant to none other than H.P. Lovecraft., the godfather of weird fiction. A Fairy Tale by Jonas T. Bengtsson: An intense and moving story of a father-son relationship. The imagery is incredibly vivid and almost magical realist or fabulist in the first half of the book. The narrative shift in the second half changes the tone but manages to maintain the tension in the narrative. Excellent read, excellent translation. The Martian by Andy Weir: Think MacGyver and Castaway and Apollo 13. Space is awesome. Stylistically, the prose is not going to blow you away, but somehow that doesn’t even matter. The story is so compelling and so cool, because space is cool, and NASA is cool, and Mars is cool, that you won’t be able to stop reading. Sugar Hall by Tiffany Murray: Post-war Welsh-English border. Country estate. One terrifying ghost. Tiffany Murray is an excellent storyteller. I may never forgive her for the moth thing though. A by André Alexis: A book reviewer from Toronto obsessed with an elusive poet tracks him down in an attempt to understand the creative act. The meeting of critic and artist/hero changes both lives and provides an interesting read/meditation on inspiration and literary creation. Life After Life by Kate Atkinson: Structurally very innovative. Incredibly moving. Looking forward to A God in Ruins which continues Teddy’s story. Dept. Of Speculation by Jenny Offill: Portrait of a marriage in vignettes. Moving and insightful. Dear Committee Members by Julie Schumacher: Hilarious (but also painfully close to the mark) academic satire told entirely in the letters of reference from one faculty member at a small college. I laughed a lot. The Age of Magic by Ben Okri: While this novel left me colder than some of Okri’s other works, it is full of ideas and Faustian allusions, and some of the passages in the middle of the book are quite marvellous. I usually read a few more children’s or young adult books, but for some reason or other, I just ran out of time this year. I do have a couple of Jonathan Auxier’s books on my nightstand though, and they look great. However, I think everyone should read the Iremonger trilogy because it is the best. THE. BEST. (Which is saying something, because it currently only has two books in it). 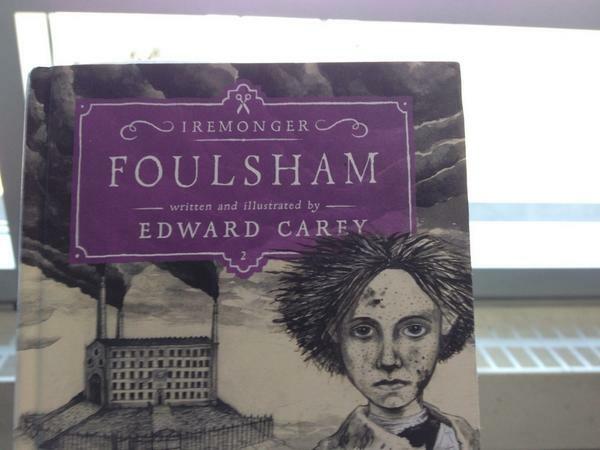 Foulsham (book 2 of the Iremonger trilogy) by Edward Carey (or, if you live in North America, Heap House (book 1 of the Iremonger trilogy), which was published over here in 2014): Continuation of the Iremonger trilogy. One of the most original stories I have read in years. Includes Carey’s marvellous illustrations of the characters and settings. I’m only recently coming around to reading non-fiction. These ones really grabbed me this year. What We See When We Read by Peter Mendelsund: I loved this book. It is an absolute blast to read. Conversational, debate-provoking, visually stunning. The Empathy Exams by Leslie Jamison: Insightful essays about fascinating topics from an engaging personal perspective. Youth: Autobiographical Writings by Wolfgang Koeppen: Post-modern memoir. Fascinating stuff. I’m also new to graphic storytelling (aside from some Dark Knight Returns etc in university), but these two were supercool and I’ll be seeking out more like them at Happy Harbor. Through The Woods by Emily Carroll: Stunning art, 5 original dark fairy tales. Good luck sleeping. The Gigantic Beard That Was Evil by Stephen Collins: The title alone should be enough to make you read this.